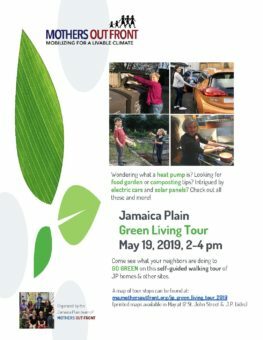 Green House Fest offers an opportunity to visit Brookline homes and homeowners who use heat pumps for heating and cooling, induction stoves for cooking, electric cars, solar panels, urban food gardens, composting, and other features that remove oil and gas from daily use. More maps and more info are available HERE. JP homes & other sites. A map of tour stops can be found HERE. Sponsored by Mothers Out Front, please email [email protected] if you have questions.